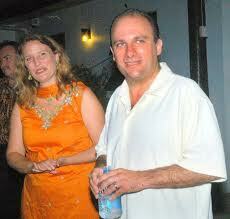 Khaiyum’s uncle accountant Zarin Khan behind Magic Mountain Springs (Fiji) Ltd to extract bottled water in Fiji. In January of this year I asked the question: who owns Magic Mountain Springs (Fiji) Ltd, and promised to reveal all soon. In the same investigation I disclosed how Fiji Water and its chief executive David Roth were hounded by the illegal regime to make way for Magic Mountain to open a bottled water facility in Rakiraki. Well, whom else do you think owns Magic Mountain? Yes, the dictator’s “oppressed and downtrodden” Indo-Fijians - the “poor” Khaiyum clan! Since the 2006 treasonous coup, the family have used Aiyaz Sayed Khaiyum’s status as illegal Attorney-General and Minister for Justice, Anti-Corruption, Public Enterprises, Communications, Civil Aviation, Tourism, Industry and Trade to further their business empire, with aunty Noor Bano Ali acting as pay mistress to the illegal regime of dictator Frank Bainimarama and her nephew Khaiyum. On the subject of payroll, let me make it absolutely clear that I am not on the payroll of Fiji Water. Many of the readers will recall that when the first instalment came out, the pro-regime detractors claimed that me and Ratu Epeli Ganilau, who as then acting Prime Minister and Defence Minister had refused to deport Roth out of Fiji, were on the Fiji Waters payroll, hence my investigative piece on Magic Mountain. However, one of these days I will be revealing how much Aliz Pacific - the mother and father company of Khaiyum’s uncle and aunty - have stolen from the taxpayers of Fiji – for writing out those pay cheques to the illegal Ministers and having financial fingers in other post-coup ventures – details passed onto me from their very own accountancy office. They can criminally swindle thousands of dollars of taxpayers money but they will not be able to hide from the long arm of the law, if and when, Fiji returns to democratic rule. One may also ask why, for example, the dictator is never seen smiling with his own pay cheque from Aunty Bano Ali, for he is quick to smile with cheques donated to him for other purposes. Meanwhile, in November 2011 the people of Fiji were told that an American company was expected to open a bottled water facility in Rakiraki soon. According to the illegal Bainimarama-Khaiyum regime, Fiji 480 Holdings Limited along with Magic Mountain has been granted a lease to set up the facility at Vunitogoloa – just kilometres away from the Fiji Water bottling plant. Magic Mountain, the illegal regime told us, is a locally owned company with various businesses having invested into the venture. The source of water is at Nananu village. It is anticipated that the new facility will be bigger than the Fiji Water plant and will provide competition. The new plant – to be established within the next 12 months – is expected to provide employment to surrounding villages. So the reports ran in Fiji. Who owns Magic Mountain Springs (Fiji) Ltd? Magic Mountain Springs (Fiji) Ltd (MMSFL) has the following persons as directors: Zarin Khan (chartered accountant), Rajen Kant Patel (company director), Ratu Ovini Bokini (company director; deceased 15 January 2009) and Syed Asad Ali Kazime (American). Is Kazime (also spelt Kajmie) behind the so-called American company which is expected to open the bottle water facility in Rakiraki. He states his address a 175 Moore Park Road, Thousand Oaks, California, 91360, USA. On 4 September 1998 Zarin Khan (f/n Jaffar Khan) informed the Registrar of Companies that “Magic Mountain Springs (Fiji) Ltd has this day been incorporated under the Companies Act and that the Company is limited”. Signing off as Director/Secretary (and presenting the details through his BDO Zarin Ali, Chartered Accountants & Consultants), he informed the ROC that the registered office of the company was situated at Level 8, Dominion House, Thomson St, Suva. The other director was the late Ratu Ovini Bokini, the Tui Tavua and former chairman of the Great Council of Chiefs during the 2006 treasonous coup. The object of the company was “to carry on in Fiji and elsewhere the business of extracting, bottling and marketing natural spring water and producing, bottling and marketing other beverages and all activities normally associated and ancillary thereto including at its sole discretion the manufacture of bottles and associated packaging for the business or for sale to third parties”. The two, Khan and Bokini had taken out one share each. Incidentally, on 4 September 1998, the day Khan had notified the ROC of Bokini’s directorship, Justice Sadal had ordered that the Tavua chief’s case be remitted to the Magistrate’s Court for preliminary inquiry to be “held without delay”. Bokini was facing 32 Counts of Official Corruption contrary to Section 106(a) of the Penal Code and 32 alternative Counts of Fraudulent Conversion of Property contrary to Section 279(1)(c)(ii) of the Penal Code Cap. 17, all these charges first came before the Resident Magistrate's Court at Suva on 22nd November 1996. Bokini faced charges of official corruption arising from investigations into the National Bank of Fiji scandal. He was represented by the recently disbarred Ba lawyer Dr Mohammed Samshu-din Sahu Khan. In the above eulogy, Patel had not mentioned the business water venture, and other business partnerships. On 3 May 1999 Zarin Khan informed the ROC that “At an extraordinary general meeting of the members of the company duly convened on the 3th day of May, 1999 held at the office of H.B. Patel Brothers Ltd (owned by Rajend Patel family), a special Resolution set below was duly passed – Authorization of Share Allotment – That the directors be and are hereby empowered to allot and to issue at their sole and absolute discretion 22,500,000 shares in the capital of the company to the seed funders, project promoters, project consultants, facilitators of debt and equity funder and the permanent financier of the company project”. Those holding ordinary shares besides individuals included Navakatidro Development Company Ltd (Tavua, 1,125,000 shares; Bila Development & Investment Ltd, 8th Floor Dominion House, Suva, 225,000 shares; Corporate Agents Ltd, Suva, 1,125,000 shares; Tavua Holdings Ltd, 300,000 shares; Ramapa Proprietary Ltd, Tavua, 1,125,000 and 225,000 shares respectively). Zarin Khan and Sunil Deo Sharma owned Corporate Agents Ltd, which was formed in 1993. Sharma is a business accountant partner of Zarin Khan and Nur Bano Ali. Tavua Holdings Ltd, formed in 1998, listed its directors as Bokini, Zarin Khan and Rajendra Kant Patel. Navakatidro Development, formed in 1996, had Eroni Kito, Lemeki Tareguci Rasiga, Ratu Inoke Baleisuva Bokini and Ratu Tavo Bale Bokini as directors. By 1999, the Bokinis were sole directors: Ratu Ovini, Tavo Bale, Inoke, Totivi Dakaniviti, Kelera Vakawale, and Sereima Lalavanua. In 1998 Bila Development and Investment Company was owned by Sairusi Tagivetaua and Eroni Kitou, of Tavua, who listed their occupations as businessmen. On 15 June 1996 Kitou and Lemeki Tareguci had resigned their directorships from Navakatidro Development, and were replaced by the Bokini family. The company’s financial affairs were managed by BDO Zarin Ali (the aunty and uncle accountant team). Sahu Khan and Sahu Khan represented the company’s legal interests. By February 2004, MMSF had a fourth director in the person of Dr Shailesh Khatri (f/n Devidas Guludas), an interventional cardiologist, who gave his address as Suite 4, 4th Floor, Pacific Private Clinic, 123 Narang Street, Southport Qld, 4215, Australia. A year later, in 2005, the Return of Allotments showed those holding allotted shares as followers: Navakartidro (2,025,000), Ramapa (2,025,000), Corporate Agents (Fiji) Ltd (2,025,000) and Syed Asad Ali Kazmie of California (1,800,000). In August 2005 Khatri was removed from Magic Mountain and Kazmie was appointed in his place. Another company, Travelex (Fiji) Ltd (a client of BDO Zarin Ali) of Varoli St, Ba, was allocated 406,000 shares in 2005. The directors were listed as follows: Devidas Gulabdas (f/n Gulabdas Hargovind), Puspawati Nagindas Vallabh and Akeneta Koyanasau, who resigned on 18 February 2004. Meanwhile, as I mentioned in the first instalment, the treasonist 2006 coup, gave the Khaiyum clan, the Bokinis’ and the Patels a great chance to make a go for the control of Fiji’s bottled water. But, first, the illegal Attorney-General and Minister of a million illegal portfolios, had to vilify Fiji Water, with his uncle Zarin Khan hiding in the background. The public statements had been cleverly left to Rajendra Kant Patel, who has been described as the boss of Magic Mountain, when we know from the records now that he is only one of the directors. In 2008, according to a Fiji Times report, the landowners wanted the ownership of the site of the proposed water bottling plant returned to them before work started. Yavusa Nakorosago of Nananu, Ra, wanted discussions with the interim Government and the Native Land Commission to correct what they claimed was an earlier mistake by the NLC. Nananu Development Company secretary Vasiti Ritova said yavusa Nakorosago felt it was wronged when the then Native Land Reserve Commissioner, Ilaitia Caginavanua, awarded the land overlooking their village to mataqali Matalevu of Vunitogoloa. The land had been leased by Magic Mountains (Springs) Fiji Limited. Ritova said the 240-hectare site included the location of their original village, burial grounds, fishing area and food gardens. She said the decision was made in 1996 after an NLC sitting in Vunitogoloa, where the members of Yavusa Nakorosago told Caginavanua that Matalevu could not have owned that land because they were part of Vunitogoloa and Raviravi District and not Nananu. Vunitogoloa is about 20 kilometres from the disputed land. “How can some people who live three mountains, two rivers and four villages away from us can come and claim what is right there under our nose?” she asked. “We, the members of yavusa Nakorosago, are left to work on this oversight ourselves and we will now renew our call to the Government and the NLC to have another meeting so that we can undo this very key decision that was made without proper consultation with all members of three mataqali in Nananu (yavusa Nakorosago) as far as the new spring water project is concerned. Magic Mountain Springs boss Rajendra Patel, according to the Fiji Times, had said he would not comment on that issue. And Ritova, despite repeated e-mails to her from me, has responded to my queries. In 2007 Caginavanua’s contract was not renewed. The then Interim Fijian Affairs Minister Ratu Epeli Ganilau said the Board of NLTB decided against the renewal because Caginavanua was under investigation for alleged corruption. “The Reserve Commissioner even though his contract has lapsed...the Board has also not renewed his contract, he is also being investigated by the committee of Colonel Kurusiga on some of the allegations leveled against him during his term as Reserve Commissioner,” said Ganilau. In March 2011, Patel was again in the news, with no sign of Zarin Khan. “This one man sorted out an 11-year issue and brought about unity among Ra villagers, paving the way for these water bottling projects. I am also thankful to the Native Land Trust Board for their assistance in these projects”. Patel was praising the Commissioner Western Commander Joeli Cawaki. The Fiji Times had reported that to enable the new developments, the Bainimarama-Khaiyum Government had solved an 11-year impasse between feuding landowners at Yaqara, “a truce which will be set in stone when work on the two water bottling projects begin in August this year (2011). One factory, located at the site of extraction in Nananu Village in Ra, is a joint venture between Tavua businessman Rajendra Patel, United States investors and the people of Nananu. The other plant, also located at the extraction site will be a joint venture between the yavusa Mali of Naseyani, Unit Trust of Fiji, a subsidiary of Fijian Holdings Limited and an, as yet undisclosed, United States investor. We wonder who that investor is – Syed Asad Ali Kasmie? Rajendra Kant Patel told the press in 2011 that he was waiting for financiers to arrive in the country later “this month (March 2011) before elaborating further on the Magic Mountain project in Nananu. He did not inform the nation that the water company had yet to pay rent arrears – a year later, in January 2011, it was the Taukei Lands Trust Board reported that Magic Mountain has only recently paid “rent arrears” but has yet to commence development in accordance with the terms of its lease. There is no mention of the name of Zarin Khan when it comes to the Magic Mountain Springs (Fiji) Ltd. But no matter how deep the Khaiyum clan decides to dive, they will be fished out of water. A secret report prepared by BLM Consulting for Fiji 480 Holdings Limited can be seen on the following sites, with a plan to contribute $25,000 to a village church and a cross. Dr Victor Lal writes a lot of crepe. Why is he not in Fiji to tell the so called truth(according to him!). He is a Dr but Phd in lies! There is no vulgar or any racist attack, so the blog owner should have no obection to this. From day one the 2006 coup was a crime. It was never an altruistic act to bring about greater justice in Fiji. These details supplied by Victor is a great insight into how a vanguard criminal group in Fiji can manipulate affairs to gain unfair economic advantage. It is the ultimate crime as they occupy the seats of state power backed by the state security apparatus. All the checks and balances of Fiji's Criminal Justice System has been compromised giving this group a free reign to plunder at will. To further rid any threat to their illegal power they removed institutions that empower the indigenous people such as the GCC and the Methodist Church.Thanks to nations such as China, India, PNG, Vanuatu, Solomon Islands this groups abuse of office and oppression of the indigenous peoples of Fiji has been sustainned. Anon@12.16. Why are you so against this? Perhaps you are getting some kickbacks as well. anon 12.16pm....ohhhhhhh...so the truth hurts.....yeah ? Anonymous 12:16, aka Frank Bainimarama: the reason why Victor Lal is not returning to Fiji is because you're a stupid thug. He understands, as we all do, that you're too threatened by the truth he exposes about you to allow him the free speach that was once the birthright of every Fijian. Isn't it galling how you just can't seem to suppress the truth no matter how many goons and hack journalists you enlist? You should be thanking Lal for once again exposing the corruption at the heart of your administration, so that you can take steps to end it now. Why don't you? I know that you deported Roth because he was too close to Roko Ului, and cashiered Ganilau because he was too close to both. I know how Aiyaz threatened FIJI Water with immediate expropriation even while lining himself up with a new competitor to FIJI Water. Stuart and Lynda Resnick, the owners of FIJI Water, have enough money to buy Fiji outright, but they've probably concluded that, under your mis-rule, the country simply isn't profitable. Or perhaps they're afraid of a bidding war with the Chinese. You really think that you're going to be able to market your Brand X water to the Chinese? You think they're going to buy bottled water? The brand's success is due to the marketing genius of Lynda Resnick, not to the innate characteristics of the water. Good luck with brand placement in Hollywood. Somehow I just don't think the celebrities will be lining up to be photographed with a bottle of the Dictator's Select Reserve. Maybe you can get the endorsement of Bashar Assad and, of course, Graham Davis, but few others. KUDOS VICTOR FOR TELLING THE TRUTH. LOOKING FORWARD TO YOUR AUNTY NUR'S ACCOUNTING REPORT RE THE DICKTATORS PAYCHECK. I wonder how much the pig Voceke is getting out of this venture. I hope when they fall, all their bank accounts and assets are frozen so that investigators can look into it. These bastards think they're immuned, they think they own Fiji, they think they are above the law. Guess what Voceke and Khaiyum, you two are mistaken. Your dirty deeds will come back and bite you two in your black asses. The same goes to your families and relatives who are cashing in on your corrupt activities. I know Zarin Ali very well. He is a master-conman and I have mentioned this in some previous issues on this blog. He is one of the unseen schemers that has been benefitting immensely from the spoils of the 2006 coup. Victor Lal blogging on the Torture Watch freedom blog site has blown the whistle on the corrupt machinations of the Khaiyum Klan in the Fiji Water saga. As usual, Victor Lal has got the whole story, with the all facts needed to back up his claim. And it looks like they snared the late Tui Tavua in their corruption. This story will spread like wildfire through the villages where the simmering rage over the abolition of the Great Council of Chiefs is heating up. Why is so many Indians is always connected GREEDY.. FRAUD.. CHEATING..LIUMURI.... is it all in the name of Money?.. Its absolutely amazing how this project was finally approved under the illegal government after it has been rejected so many times by the FTIB and also the Pacific Islands Investment Commission as a viable project. It was designed to be a cashcow by the principals with only cosmetic level benefits going to the landowners. Values of contributions made by the principals towards the establishment of the company ( travel, research, consultancy, meetings, legal etc) were allegedly super inflated and subsequently translated into their shareholdings. Sure the principals would bear the business risks justifying their lion-share ( a mammoth of a lion I might say) of the proposed cake. In reality, such risk could be properly managed thru various instruments. But such perception of risk should give them no right to carte blanche load the dice in their favour. The landowners ( this is another issue) who didn't know any better,reportedly were ever so indebted to the principals for a few breadcrumbs that were going to fall off the table. Should be surprised therefore, that Magic Mountain, the the bete noire of pre-coup FTIB and regional investment assessors, has been granted green light by the Khaiyum/Bainimarama regime. I'm not. We had heard about Griffin's Church Loans since years ago and also of its activities.Recently we were in need of church financing and loan for our own church up to 70% of the total cost. We were so happy and pleased seeing Griffin's Church loans offers. We must appreciate, it left us better off after all! That was literally amazing! I'm not shocked but it really amazed me. Well done. Today church mortgage for church construction risks are also drowning.A complete church lender directory is helping churches to find the best rated most compatible lender for them.